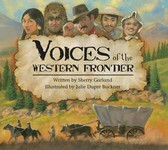 Ride into the life of a Native American cowboy! When the U.S. Army Calvary attacked the Nez Perce tribe, Jackson Sundown’s trick riding allowed him to escape. For years afterwards, he lived a quiet life, until at the age of 49 he entered his first rodeo. His performance was captivating and the crowds loved him! Sundown dreamed of winning first place at a bronc championship—a feat never accomplished by a Native American. Will he win? Find out in this thrilling biography for young readers. 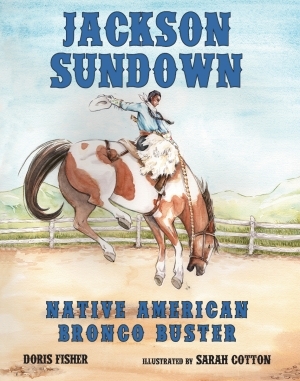 Follow Jackson Sundown on his journey from trick-riding at rodeos to the National Cowboy Hall of Fame. His courageous story, told in vibrant illustrations, will inspire children to overcome obstacles on the way to their dream! Doris Fisher, a former kindergarten teacher, fell in love with the beautiful illustrations and educational benefits of picture books. She hopes her interactive stories will make children excited about learning. Fisher lives in the great state of Texas. Sarah Cotton is a freelance illustrator and former intern for Pelican Publishing. She has illustrated numerous publications, including two children’s books. Cotton lives in Louisiana. 32 pp. 8.5 x 11 31 illus. Biblio.